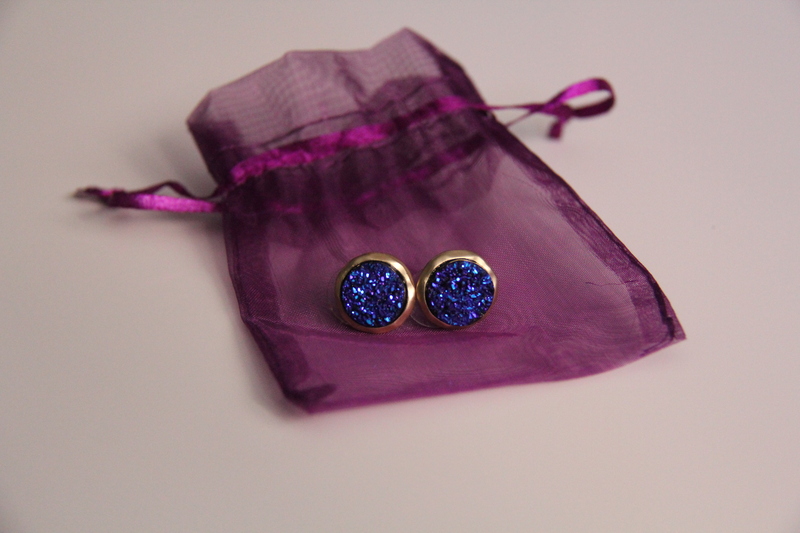 Despite being sold out, I was lucky enough to snag a secret pair of these stunning iridescent royal blue studs from Flair Accessories. I am hosting a giveaway, and one of YOU will be the lucky winner and future owner of these gorgeous earrings! You can see how I styled the earrings here. The winner will be announced Friday on the blog. I would pair these little jewels with a bright pop of color, like a vibrant yellow flowy spring top or a fabulous jewel tone/emerald green. Perfect for brightening any outfit with just the right amount of sparkle! I follow your WordPress blog, Twitter & Instagram! I would style it with anything! I love the earrings, and thank you! I follow you on email and pinterest! I would style these earrings with a topknot, black top and dark jeans with riding boots. Mostly neutral colors and the topknot so you can see the earrings even better!! So cute! following on bloglovin’ and would love to win! I would wear these with dark skinny jeans and a white top with a cropped leather jacket and black boots. HI!! I love these earrings! Purple is my favorite color and I love adding color to my wardrobe especially in accessories!!! So I KNOW these would be a staple in my earring collection! I am sad they sold out but excited for the opportunity to WIN them! : ) I follow this blog on pinterest and instagram as well! 🙂 Have a great day! Hey girl! These are so cute! I would gift these to a friend of mine who has been my right hand lady in my planning of my Dodgeball Tournament Fundraiser. I follow you on WordPress, Twitter, Pinterest, and now Instagram (Im the worst at looking for people on there, I should have already been dong that! ).